There is a huge range of jewellery you can wear in your belly button piercing and I’m pleased to announce a brand new one: huggy belly button rings. These new belly button rings are an alternative to BCRs. They have a hinged section that is easy to open, with a thicker section at the front that can contain jewels or a cute design. They are easy to insert and very comfortable to wear. 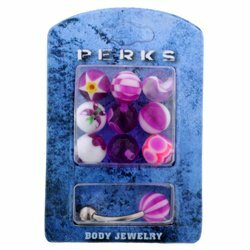 I would recommend them if you like to change your belly button rings to match your outfit – they are much easier to change than ball closure rings. We have sixteen different huggy belly button rings to choose from – below are just a few of my favourites. 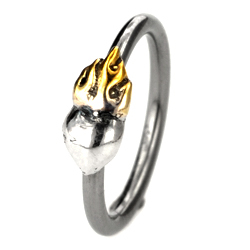 For all you glamour girls out there I highly recommend the AB Sparkle ring – it really shines! All these belly rings are made from 316L surgical steel. They are excellent quality and made to stand up to frequent opening and closing, so the hinges won’t get stuck or come open unexpectedly. When you insert a huggy belly button ring, insert the curved bar into the top of your piercing. Then once it is in place, close the main part of the ring. This entry was posted in Ball Closure Rings, Belly (Navel) Piercings and tagged Belly Button Jewellery, Belly Button Navel Ring, Belly Button Navel Rings, Belly Button Ring, Belly Button Rings, Belly Ring, Belly Ring Jewellery, Belly Rings, Cute Belly Rings, Navel and Belly Button Jewellery on May 22, 2011 by Piercing Guru. The best way to dress up your navel piercing is with belly rings and with the choice in design there are various different looks that you can enjoy. Belly rings come in many shapes and sizes, with details such as jewels, hearts, stars and skulls. 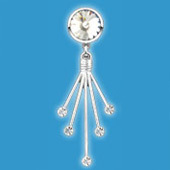 You can choose ball closure or barbell style belly rings, whichever feels most comfortable for your shape. This entry was posted in Belly (Navel) Piercings, Surgical Steel Body Jewellery and tagged Belly Jewels, Belly Rings, Body Jewellery on October 5, 2010 by Piercing Guru. Those who have a belly piercing can make the most of their figure and do it well by wearing a stunning unique belly ring. There are many different types of unique belly ring, each one with a special hand crafted touch to it. You can choose a unique belly ring by colour, design, size or buy it as a gift for somebody special for example by their favourite shape or colour. 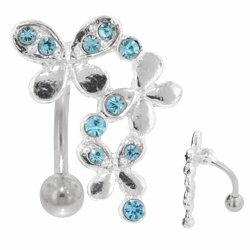 In addition to a unique belly ring you can try piercing bars, dangles and jewels. You can go to parties, festivals, to the beach or pretty much any event wearing a unique belly ring, for the perfect finishing touch to your outfit. 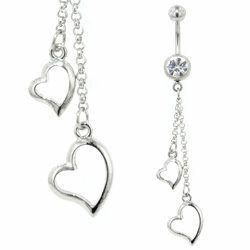 This gorgeous Silver & Steel Jewelled Ball Closure Unique Belly Ring is the perfect fashion accessory for any occasion. 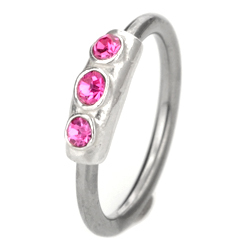 Featuring gleaming pink jewelled circles set in a sterling silver captive, the silver & steel jewelled ball closure is not only comfortable and safe to wear but it also looks fantastic. 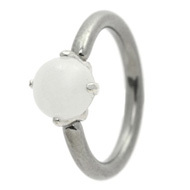 You can enjoy the Silver & Steel Jewelled Ball Closure Ring in various sizes such as 1.2mm x 10mm, 1.6mm x 10mm and 1.6mm x 12mm. For the ultimate look try out this exceptionally cool Silver & Steel Ball Closure Unique Belly Ring. 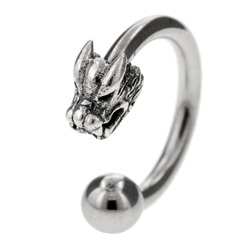 Featuring a golden fireball and silver heart, the Silver & Steel Ball Closure Unique Belly Ring is available in various sizes such as 1.2mm x 8mm, 1.2mm x 10mm, 1.6mm x 10mm and 1.6mm x 12mm. This entry was posted in Adult Body Jewellery, Belly (Navel) Piercings and tagged Belly (Navel) Piercings, Belly Jewels, Belly Piercing, Belly Ring, Belly Rings, Body Jewellery on August 7, 2010 by Piercing Guru. Fake belly rings are a great way to try out the look of a belly piercing without taking the plunge. These belly rings stick on and look gorgeous, giving you a fab sparkly belly button for as long as you want. These fake belly rings donâ€™t look exactly like a belly ring, so if you want to convince someone that you got your navel pierced, you might have to be a bit more inventive! They do still look fab and I think that theyâ€™re a great option if you only want a belly piercing for one night. These stick-on belly rings are great for crop tops, beach-themed parties and disco nights. They are easy to apply and will stay on all night. All these fake belly rings are re-usable, so you can use them as many times as you want. They are made with the same materials as â€œrealâ€ body jewellery, with non-irritating surgical steel and glittering Swarovski crystals. 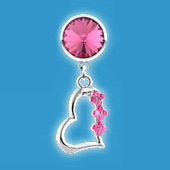 The fake belly rings show below are all available in clear, pink, turquoise and lilac. This entry was posted in Belly (Navel) Piercings, Fake Body Jewellery and tagged Belly Ring, Belly Rings, Fake Body Jewellery, fake piercing jewellery on May 24, 2010 by Piercing Guru. You can find a huge range of belly rings online but what if you need a 16 gauge belly ring instead of a 14 gauge?Â Most belly button piercings are done at 14ga (1.6mm) so it can be hard to find 16ga belly rings, especially in cute designs.Â 16ga is equivalent to 1.2mm and while this is very small for a navel piercing, many people choose to have a 16ga belly piercing. 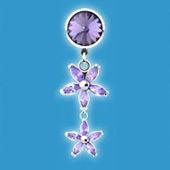 Fortunately we have some lovely 16ga belly rings at Body Jewellery Shop including cool colours and small, feminine bars. The most usual jewellery for belly button piercings is a bananabell, but these are usually 14ga and it can be hard to find a 16 gauge belly bar. Many shops now sell 16 gauge belly rings but one trick is to look for 16ga eyebrow bars. 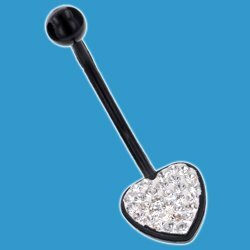 Eyebrow bars are often the same shame as belly bars and there is no reason you canâ€™t wear one in your belly button piercing. Just make sure that the bar is long enough and that the balls are positioned in a way that will be comfortable in your belly button. This entry was posted in Belly (Navel) Piercings, Navel Bananabells and tagged Belly (Navel) Piercings, Belly Bar, Belly Bars, Belly Button Bars, Belly Jewels, Belly Piercing, Belly Ring, Belly Rings, Body Jewellery, small gauge piercings on April 9, 2010 by Piercing Guru. 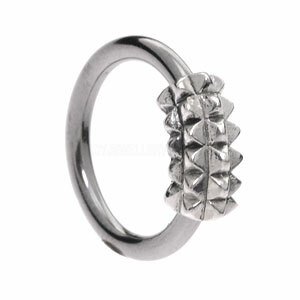 Cheap, cute and comfortable, acrylic navel rings make a great alternative to metal piercing jewellery. Acrylic is a very lightweight material and it comes in lots of different colours so you can treat your navel piercing to a different look every day! But why choose an acrylic navel ring? 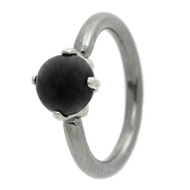 The two main advantages are that these navel rings look great and are much softer than metal rings. This means that they wonâ€™t irritate your skin and they are very comfortable. They are also metal-free, so these navel rings are ideal for hospital visits, pregnancy or any time when you cannot wear a metal ring. I find that they are also a good compromise for school and work â€“ if your employer thinks that metal piercing jewellery is â€œunsafeâ€ they will probably be happier with an acrylic navel ring compared to a metal one. Personally I like to wear acrylic navel rings for their bright colours. Most of the acrylic navel rings you see below are also UV-reactive, so they glow brightly under UV light and look amazing on nights out. You can find acrylic navel rings in a huge range of colours but these are some of our most popular – we also have red, green and pink acrylic rings. The plain black acrylic navel ring is a great alternative to blackline BCRs â€“ its much cheaper still gives you that sleek, stylish look. If you prefer a spot of bright colour, any of these colourful acrylic navel rings is a great choice. All of the colours glow under UV light and they look amazing matched to your outfit. This entry was posted in Acrylic Body Jewellery, Ball Closure Rings, Belly (Navel) Piercings and tagged Acrylic Belly Rings, bcr, bcrs, Belly (Navel) Piercings, Belly Ring, Belly Rings, Body Jewellery on April 7, 2010 by Piercing Guru.